Online sales have become the new store-front for many business owners, however changing up your online shop window has become quite evolved. Increasing online sales can be a big job – but prioritizing and categorizing the approach can greatly simpify the matter. 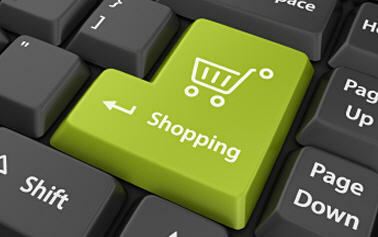 This great article from entrepreneur.com has 12 great tips to stimulate online sales. The mantra “test everything, assume nothing!” as well as there are always ways to improve your current website – are both great mind sets to constantly improve current sales strategies. Please read the article below and reevaluate how your company approaches their online sales, it may have a significant effect to your profits. Improve the sales effectiveness of your site with one of these guaranteed ways to turn visitors into buyers. The bottom line is, testing is the only way to discover what works–and what doesn’t–on your website, and it’s the best way to start increasing your sales exponentially. And if you take the plunge and use just one of the following tests, you’ll learn just how true this is, especially when you start seeing a dramatic improvement to your bottom line. Test #1: Offer just one product or service on your home page. Do you sell a number of products or services on your website? If so, I’d strongly recommend you test whether or not this is the best strategy for you. We’ve found that offering fewer products in one place with more copy describing those products always translates into higher sales. Test #2: Reposition your opt-in offer to boost your opt-ins and build a bigger list of loyal subscribers. Your opt-in offer is your tool for gathering your customers’ e-mail addresses and building your e-mail list, which allows you to regularly keep in touch with your subscribers, build relationships of trust and loyalty, and sell them your products or services. If you don’t use a long sales letter, test placing your opt-in offer in as prominent a position as possible on your home page–the top left of a page is where visitors’ eyes are often drawn first. At the very least, test placing your opt-in in the “top fold” of your home page–the area of screen first visible to a visitor before they scroll down the page. If you have a long sales letter, you should test placing your opt-in offer within your second “page” of text–after you’ve grabbed your visitors’ attention by identifying a problem they have and established your credibility by impressing them with your credentials, experience and glowing testimonials from happy customers. You should also test placing your opt-in offer on every page of your site so it’s always in front of your visitors, and try placing it in a “hover ad” (see below). The more sign-up opportunities you provide, the more subscribers you’re likely to get. Test it and see. Test #3: Add impact to your promotions with hover ads. I’m sure everyone’s familiar with pop-ups: They’re the small windows containing a special offer or other information that sometimes “pop up” when you visit a website. Love ’em or hate ’em, pop-ups have been a very useful, online marketing tool for years. However, because a percentage of internet users disliked them, Google, AOL, Netscape and others developed pop-up blocking software to combat them. But that was before we discovered a very impressive technology that actually lets you use ads that behave like pop-ups but that aren’t pop-ups–so they don’t get blocked. They’re called hover ads, and they’re well worth testing on your site. Test #4: Feature different benefits in your headline. Your headline has a huge impact on your sales. It’s often the first thing visitors to your site see so it must grab their attention and compel them to read your sales letter. A successful headline should highlight a problem your target audience faces and stress the main benefit of your product or service in solving this problem. Let’s look at an example that illustrates how a headline can be changed for maximum impact. One of our clients was using the following headline on his site: “Box4Blox–The Amazing Toy Storage Box For Lego.” The problem with this headline is that it tells you what the product is, but not what it does for you. It doesn’t give a visitor any good reason to continue reading the rest of the page. Contrast that one with this: “Finally! Discover the Secret That’s Got More Than 50,000 LEGO-Crazy Kids Worldwide Actually LOVING Clean-Up Time!” This headline presents a major benefit of the product and a solution to a problem–in this case, how to get kids to clean up after themselves and actually enjoy it. Once the problem is established, you can then begin introducing your product or service as the solution to this problem. By emphasizing exactly how your product or service will solve your reader’s problem, you’re guaranteed to see a boost in sales. Test #6: Add credibility to your copy–and enhance your visitors’ trust in you. It’s vital that your sales copy establishes your credibility: It’s through this process that your visitors come to trust you and feel comfortable enough to buy from you. There are several ways you can do this effectively and we’ll talk about two of the quickest and easiest ones here. If you’re not already using these techniques, revamp your copy and test it against what you’re using now. You’ll be surprised by the difference. You can also enhance your credibility by adding a section to your copy that outlines your credentials, experience and any background information that makes you qualified to solve your target audience’s problem. Your aim should be to effectively convince readers that you are the best person to offer them a solution to their problem. Offer a limited-time price discount where visitors must buy before a certain date in order to qualify for the discount. Offer additional bonuses for free if visitors buy within a certain time frame. Offer only a limited quantity of your products or services. Offer a limited quantity bonus. Test #9: Remove any references to “buying” from the top fold. People usually go online looking for free information. If you start your sales pitch too early in your copy, you may end up losing them before you’ve had the chance to hook them. You first need to get them interested in what you have to say by relating to a problem they’re facing–as I outlined in Test #5 –and howyou can solve it. Once you’ve accomplished that, you can start to sell to them. Here’s an easy way to improve the tone of your sales letter: Try removing references to “buying,” “cost” and “sale” from the top fold, and compare the results to the copy you’re using now. Remember, don’t mention anything to do with making a purchase or spending money until after your reader is interested in your product and trusts you enough to buy from you. Test #10: Boost your product’s desirability by adding images. Images of your products make them seem more tangible and “real” to your visitors and are a powerful sales tool. But sometimes revealing what the product is too early in the sales process can kill the sale–you may need to highlight the product benefits and value before you reveal exactly what it is. Test placing images near the top of the page vs. placing them near the call to action at the bottom (where you’re asking for the sale). You should also test adding images to your order page, and test the response to using no images at all. By carefully analyzing sales during each test, you’ll learn exactly where to place product images for maximum impact. Test #11: Grab the attention of “scanners” by changing the formatting and appearance of your copy. Very few visitors to your site will read every word of your sales copy from start to finish. Most will “scan” your copy as they scroll down the page, reading only certain words and phrases that jump out at them or catch their eye. Test #12: Fine-tune your follow-up process to maximize sales and attract more repeat business. Following up with your customers and subscribers using autoresponders (automated e-mails) is crucial to generating more sales as it often takes several contacts before someone buys from your site. In your follow-up e-mails to new subscribers who haven’t bought from you yet, you can restate your offer and ask for the sale again. Try sending an immediate follow-up after new subscribers sign up, giving them a reason to return to your site the same day they subscribe. You can test this against sending a follow-up three days after subscribers first visit your site to see which method works best. Following up with existing customers is just as important. In fact, tests show that 30 percent of customers will buy again if they’re given the chance. It helps you develop profitable, long-term relationships with them and allows you to offer “backend” products relating to their original purchase. You can test sending a backend offer immediately after they make a purchase against sending one three days afterwards to see which approach generates more repeat business. When testing your site, it’s vital to test just one thing at a time so you know exactly which change influenced the results. A method of testing known as “split testing” does just that. It allows you to split your audience into two groups and test, for example, one headline with one group and another headline with the second group–both at exactly the same time. It’s an ideal testing strategy for any online business, but especially for newer websites with less traffic, as it provides an excellent method for generating accurate test results no matter your level of traffic. Let’s look at an example to illustrate how this works. If you want to test elements of your sales letter, you need to use your top performing sales letter as a “control”–a benchmark against which all tests will be measured. To test a new headline, for example, you need to create another web page that’s identical to your top performing one but which includes the new headline. Using special testing software, you then redirect half your customers to the old page and the other half to the new one–over exactly the same time period. For example, if you have two customers named Bob and Jane, testing software ensures that Bob sees sales letter “A” at the same time Jane sees sales letter “B”–both on the same URL. Your other customers are likewise split evenly between the two different sales letters. If you discover–through tracking how many visitors go to each page and how many sales each page makes–that the sales letter containing the new headline converts 15 percent more visitors into sales, you know that the new headline is more effective. Then you can test other elements of the sales letter one at a time and gradually fine-tune your sales process. The software gives you the great advantage of testing the two different letters over the same time period. If you instead test one headline over a few weeks, then the other headline over the next few weeks, what if one of those test periods includes a major holiday like July 4th, while the other doesn’t? Or what if a major TV event happens during one test period but not the other? Both of these factors could significantly skew your results if they resulted in fewer people being online during one of your tests. WebTrends 7 offers a range of testing services for a one-time cost or monthly fee, and you can road-test their services for free. WebTrends 7 also allows you to go beyond split-testing and start testing a few different things at one time. You can analyze exactly which combination of elements (for example, a particular headline and opt-in offer placement combination) works best. Like WebTrends 7, Offermatica allows you to conduct split testing and multivariable testing. Pricing is based on a per-visitor fee, and you can try their services out first through their free demo. ClickTracks allows you to track the response to your tests and understand where your visitors come from, as well as how they travel through your site. You can try their products for free, then pay a one-time or monthly fee depending on your needs.